It is said by many that success leaves clues. One of the best ways I know to figure out what those clues are, is by reading. Luckily most people who are successful have written a or plenty of books about how they have done it. I think this is a natural thing to do because there must be plenty of people asking the holy grail question of ‘’How did you do it?’’. A quick referral to the book saves them precious time that can be invested in other things, but that is just my theory. 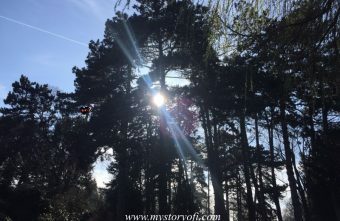 Either way when starting My Story Of I and during the course of I have read plenty of personal development books, self-help books and/or live your best life books. I find the categorization kind of blurry. Today I am sharing the books that actually had an affect on my life so you too can improve your life. 1. The life changing magic of not giving a f*ck by Sarah Knight. As I have said on numerous occasions my time management used to be absolutely horrible, even though I tried really hard. I planned 35 hour days into 24 hours and totally believed I could make it work. Also saying yes to everything because saying no made me feel bad for the person asking for help. Through reading this book, and many tasks left undone, I have realized that the best way to help everyone, including myself and also improve my life, is to calm down and realize the magic of not giving a f*ck. After reading the book you’ll realize it’s a lot less rude as it may seem and you really are helping everyone, including yourself! Realizing what your powers and strengths are can significantly improve your life. We also have to come to terms that life, your life, really is in your hands. Improving your life, living your wildest dreams all is in your hands. All you do and don’t do influences your life so greatly it’s frightening and amazing at the same time. It is amazing when you realize what you can do with that fact. Something that Jen Sincero helps you do in a humorous but serious way. After reading the book you will definitely go looking for and/or developing the self that can handle absolutely everything. SPOILER; this version of you already exists! My books travel with me. 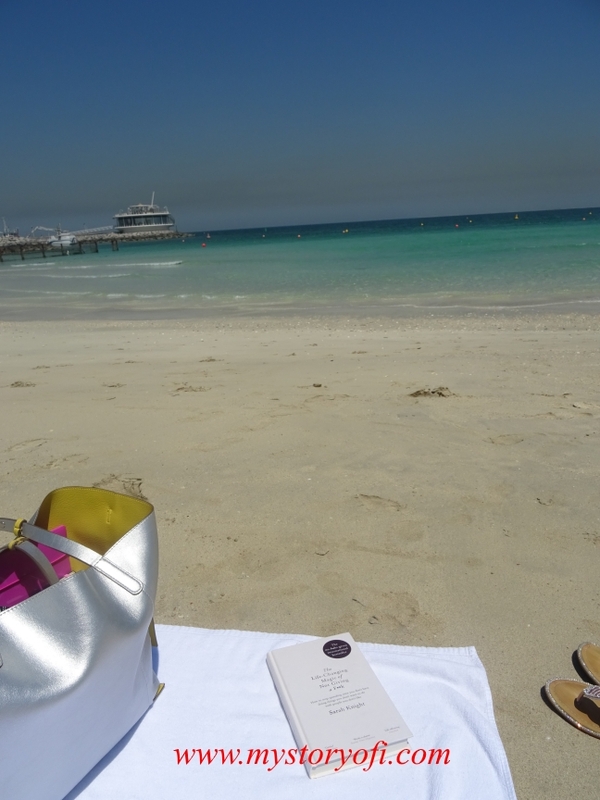 Reading ”The magic of not giving a f***” on the beach in Dubai! Personal Development can happen anywhere, really. This is one of the first books I read that kind of started my journey into the world of ”improve your life” books. Better said into realizing the power I had over my life. The book is jam packed with questions that really make you blink after reading them. You know the kind of blinking that looks and feels as of your brain is going through a system error. Allowing yourself the time to do the exercises and answer all the question can really help you figure out a lot of things about your life. After reading the book and doing the exercises the first time I went ‘’uhm okay’’, because it was quite revealing. There you have it, the three books that actually had an affect on my life. 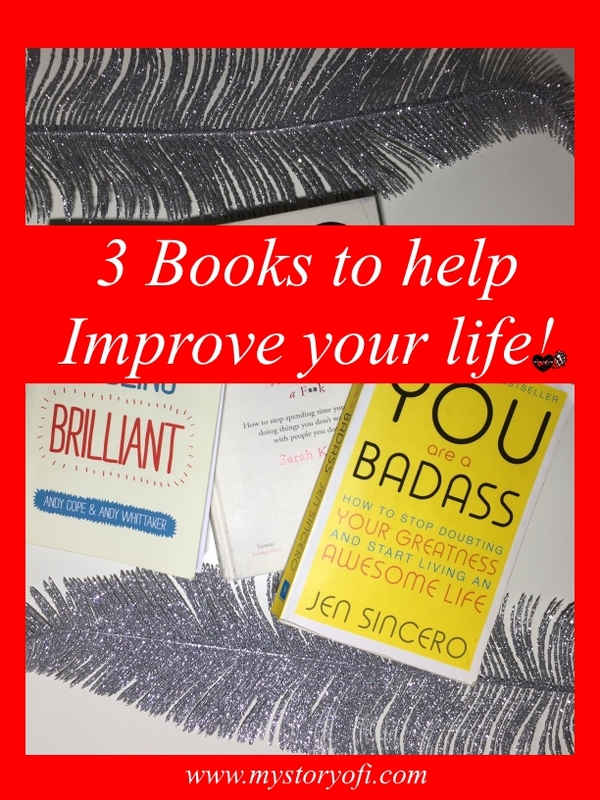 I hope that after reading them, they help you improve your life too! As you can see on the pictures of the books they have been through a lot, oops. That is because I have read all of them at least three times in order to really grasp what is being said and figure out how it applies to my life. I also placed sticky notes at the parts I found most interesting to be able to quickly reread them. Remember improving your life starts with your thoughts but ends with your actions. ‘’ It was about no longer being the kind of person who takes what (he/)she can get, and finally becoming the kind of person who creates exactly what (he/)she wants. My favorite line of the book. It is amazing what inspiration we can find in self help books. With the tools and techniques that we can acquire from them to support us in changing our lives. I haven’t read any of your three, but now I will so thank you for the recommendation. There is indeed a lot inspiration to be found in self help books, especially the ones with information that transfers easily to actions. I am happy you found new books to read! Happy Reading!